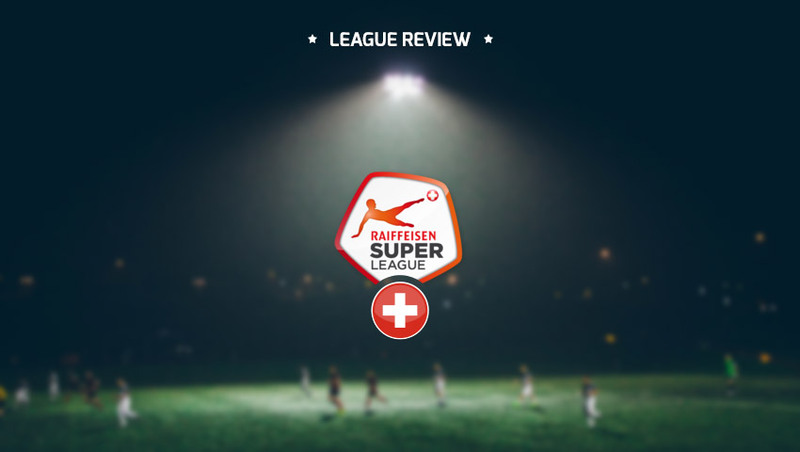 Swiss Super League or Raiffeisen Super League as it is called after the general sponsor was founded in 1897 and is one of the oldest top flight football division in Europe. According to UEFA’s ranking of league coefficients it is currently ranked as 12th. In the past the league produced some excellent players and it is continuing to do so ever since. Football is the most popular sport in Switzerland which may come as a surprise knowing that it is a land full of mountains making skiing the most obvious activity. Season in Switzerland starts in mid-July and ends at the end of May the following year. This means players don’t get a lot of time off between seasons but they do get a winter break that lasts from the start of December to the start of February. There are 10 teams competing in the league, 9 best teams from last season and the newly promoted champion from Swiss Challenge League Lugano. Teams play each other four times which accounts for 36 rounds. The championship works with a standard relegation system with the last team directly relegated to the second division. Winners of the Swiss Super League qualify straight to the UEFA Champions League group stage, while the runner-ups enter the UEFA Champions League in the third qualifying round. Third and fourth-placed teams enter third and second qualifying round for the UEFA Europa League. Additionally, the winner of the Swiss cup directly qualifies to the UEFA Europa League group stage. Grasshopper Club Zürich is the most successful club in Switzerland with 27 trophies, followed by FC Basel with 18. Basel were champions in last six years in a row, making them a dominant team in Switzerland for quite a while. That seems to bore even their own fans, as average attendance at their home games fell by 5% this season. Attendance on the other stadiums rose by the exact percent. Swiss clubs qualified for only two spots out of six possible in European competitions. Unlike last year the most dominant team FC Basel had trouble qualifying for this year’s Champions League season. After they beat Polish Lech Poznań in 3rd round they didn’t qualify against Israeli Maccabi Tel Aviv, losing due to away goals rule (3-3 on aggregate). Therefor they play in Europa League together with FC Sion (2014/15 Swiss Cup champions). Both teams are currently at the top of their groups. BSC Young Boys, FC Zürich, FC Thun and FC Vaduz that got a chance through Liecthenstein Cup competition all failed to qualify. At the top of the Swiss Super League there have been no surprises so far this season. FC Basel sits there comfortably, however, their rivals FC Zürich (3rd last season) had a weak start of the season as we can find them at the bottom of the table. Swiss football has always produced and exported great talents. In recent History there are a lot of players that later went on to play in Europe’s top 5 leagues. Gökhan Inler, Xherdan Shaqiri and Stephan Lichsteiner all started their career in Switzerland and are now major stars. Most notable players that currently play in the Super League are Kim Källström, Marek Suchý and Breel Embolo who is a rising star already on the radar of top clubs in Europe. Quality of the league is reflected in their national team which has been overachieving for the last 10 years. They are currently in 12th place on FIFA world ranking and have attended all major tournaments since European Championship in Portugal 2004. On top of that Switzerland has already qualified for next year’s EURO in France in 2016. Stephane Chapuisat, Alexander Frei and Josef Hugi are some of the best footballers that played for their national team. Switzerland has a powerful influence in the world football. The president of the FIFA is Swiss Sepp Blatter. Furthermore the Swiss cities of Zürich and Nyon are home to FIFA and the European governing body UEFA respectively. That means that draws for be it qualifying rounds, group stages or knockout phases for any UEFA competition is held in Switzerland. Thus, it may not come as a surprise that Switzerland already organized both World Cup (in 1954) and European Championship (together with Austria in 2008). Reiffeisen Super League has two transfer windows through the year. Summer window lasts from 10th June to 31st August and the winter one from 16th January to February 15th. There were 120 arrivals and 119 departures in the last summer transfer window. Transfer revenues were more than 25 million euros, while transfer expenses were a little more than 17 million euros. These numbers go along with the transfer policy of clubs in the league as they have always developed great players who were later sold for profit. The most notable arrival was from Miralem Sulejmani from FC Benfica to BSC Young Boys. The most noticeable departure was from Derlis Gonzalez from FC Basel to FC Dynamo Kyiv. In Switzerland there is a big rivalry between the cities of Zürich and Basel. It all started in the sixties when they were the top two teams fighting for the championship. But in the past ten years the importance of the local derby between FC Zürich and Grasshopper-Club is rising as they fight head to head for the championship. One of the best derby moments was in 2005/06 season when Basel played Zürich in a last round title decider. FC Zürich won the match and the league with a late goal from Iulian Filipescu. After the final whistle a fight broke out between players on the field and fans in the stands.